Last night I had the pleasure of hearing the London Mozart Player's performance of Haydn's, The Creation at Cadogan Hall. Soloists were Carolyn Sampson, who jumped in for an indisposed Joan Rogers; Andrew Staples, Tenor and Iain Patterson, Bass. The Vasari Singers, a London chamber choir that I was unfamiliar with, were wonderful. 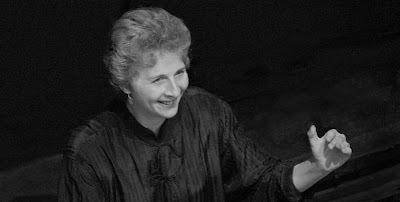 The performance was conducted with vigour and an incredible energy by Jane Glover. I enjoyed it immensely, it was an outstanding performance of this great work by 'Papa' Haydn. Andrew Staples, our Jaquino in Fidelio, sang with ease and glorious purity of tone. Iain Patterson was incredible. I can see why his career is so meteoric. He coloured every line and had the most beautiful sound in every part of his seamless voice. Carolyn Sampson complimented this strong line-up with elan and grace. When I started writing this a review was furthest from my mind but a wish to share my sadness with the attendance. I heard that it was somewhere in the region of 350, less than half of the capacity of Cadogan Hall. The concert game is a risky one but a concert with such strong constitiuent parts deserved a much larger audience. This is the lot of a concert promoter/ orchestra or choir giving a concert. Trying to reach your prospective audience is hard enough...a science in itself ...but then converting that into a ticket sale is another matter entirely. 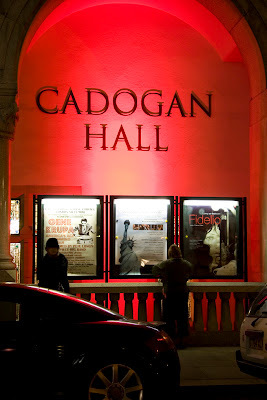 Cadogan Hall,as you can imagine, is one of my favourite venues in London. The location is priceless and convenient to one of the nicest parts of London. The acoustic is superb, the seats are very comfortable and the overall feel of the venue is one of comfort and style. As I am discovering there is no textbook which explains concert attendance. How often do you go to a well attended concert and the standard is poor, the artists are below par? The logic should be that the great concerts should have full houses. Sadly this isn't the case. No great mystery there as one of the joys of live performance is that you never know what is going to happen. Is the soprano going to soar effortlessly? Is the tenor going to crack? etc so when all of the elements are right well...it is magical. Maybe one day Apple will invent an app that will point us in the right direction. If they did I wouldn't want one. Where is the fun in that? I wish London Mozart Player's well in their 60th anniversary year. The next 60 years look very sound if Friday's concert is an example. Bravo.